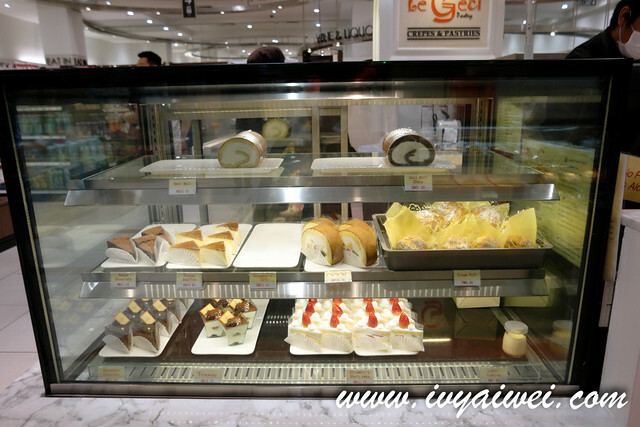 Fan of Chef Shigeru Hashizume’s (who made the beautiful and fluffy pastries in B-Lab) can make way to Le Geci, Isetan KLCC for his pastries creation. 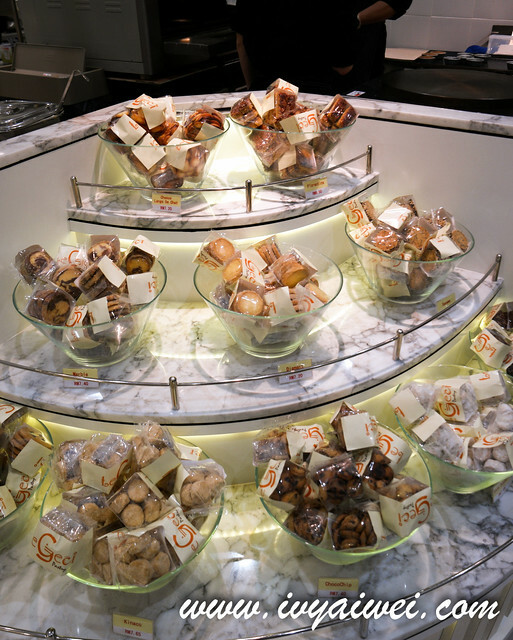 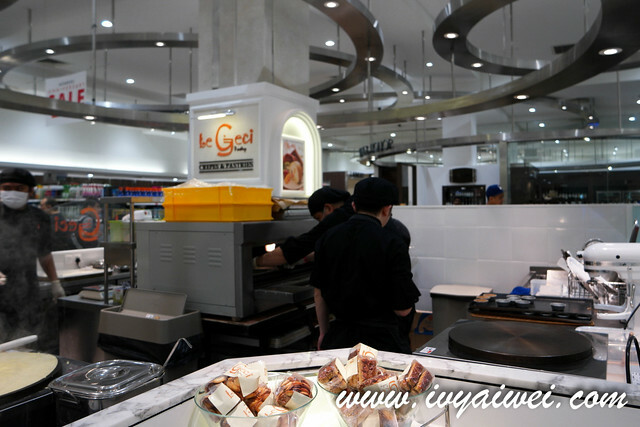 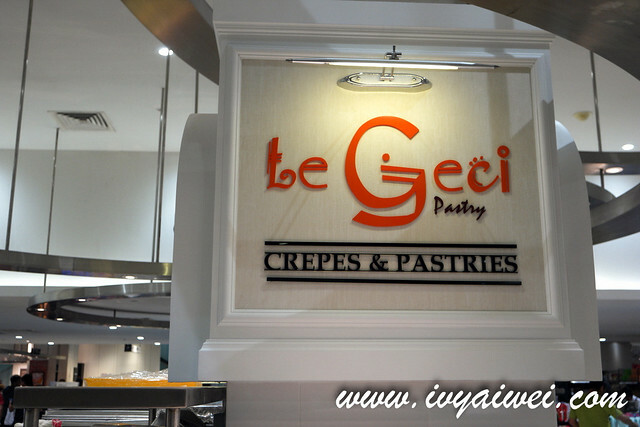 This newly opened Le Geci offers not only fancy pastries such as cake roll, cookies, tarts, cakes but also crepes that made a la minute. 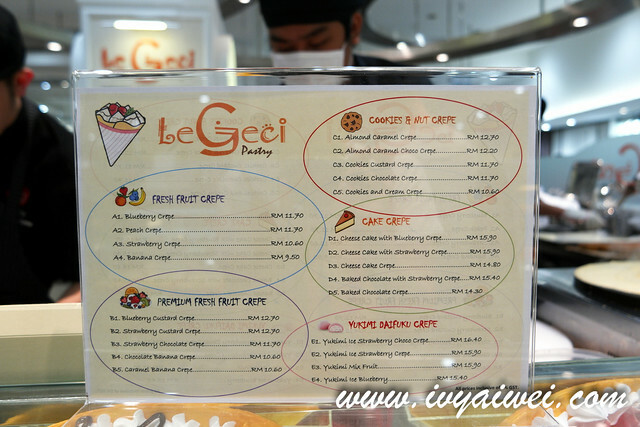 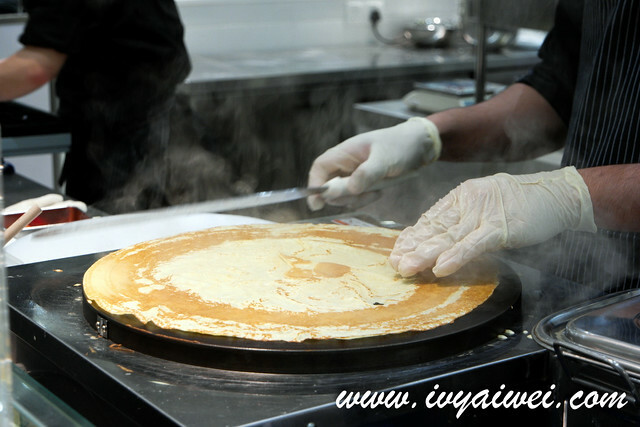 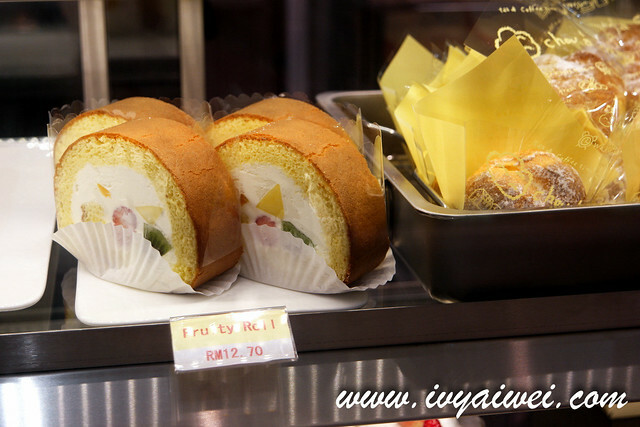 There are wide selections of crepes available here; Fresh Fruit Crepe, Premium Fresh Fruit Crepe, Cookies and Nut Crepe, Cake Crepe and Yukimi Daifuku Crepe, price ranging from Rm 9.5 to Rm 15.9. 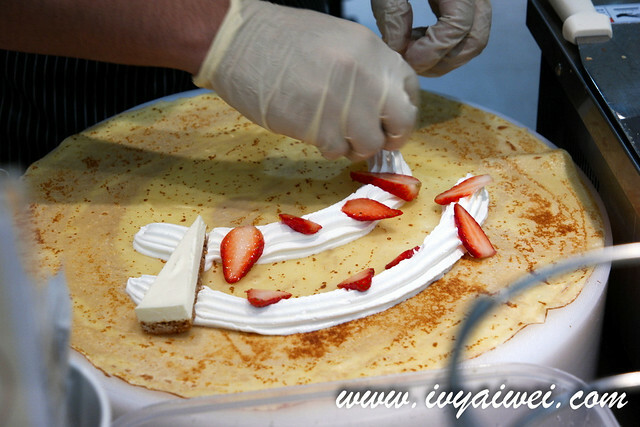 You may observe how the chef prepared the crepes for you. 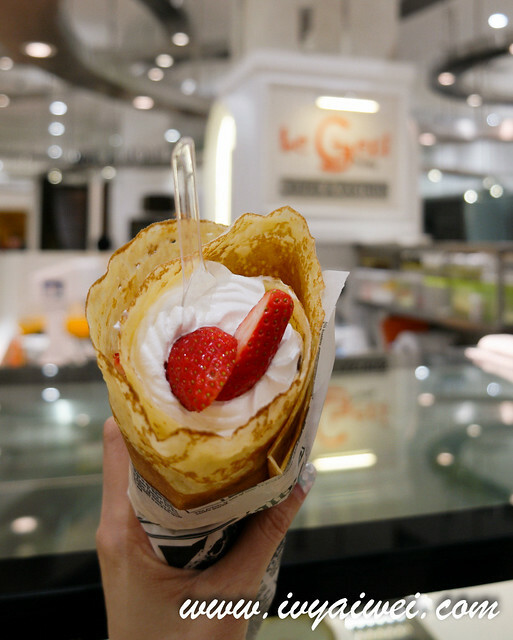 Cheese Cake with Strawberry Crepe (Rm 15.9), layered with lots of fresh cream, slices of strawberries and a small slice of creamy cheese cake sandwiched inside the crepe. 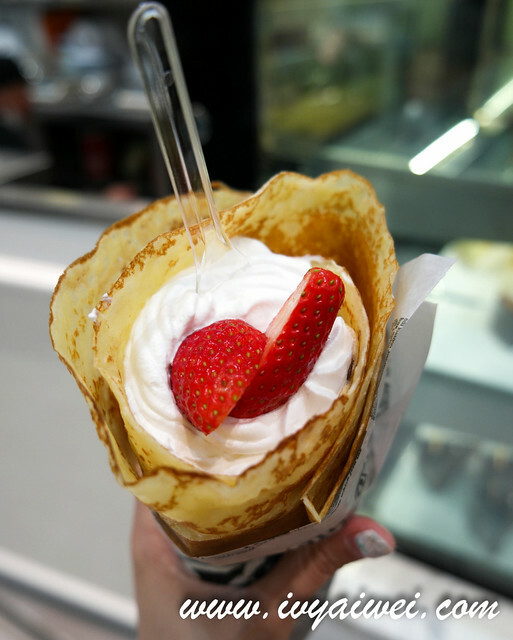 Rich, cottony and feathery combo. 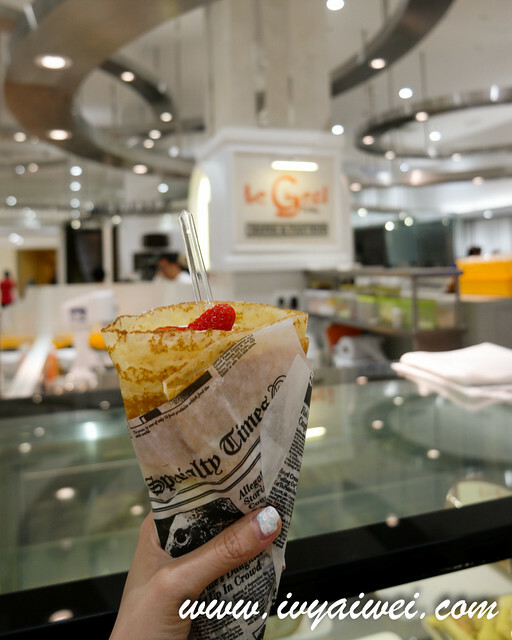 The thin crepe layer was good and the whole combo was never cloying or sweet at all. 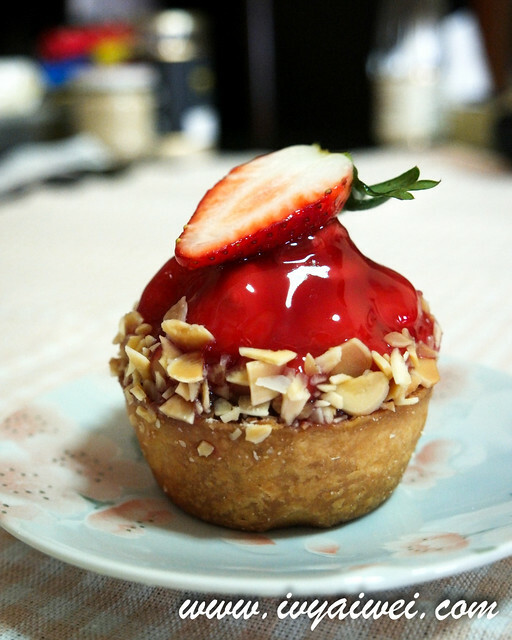 Strawberry Tart (Rm 12.7) with crusty pastry base, custard cream, topped with loveliest strawberries and touched up with almond slices. 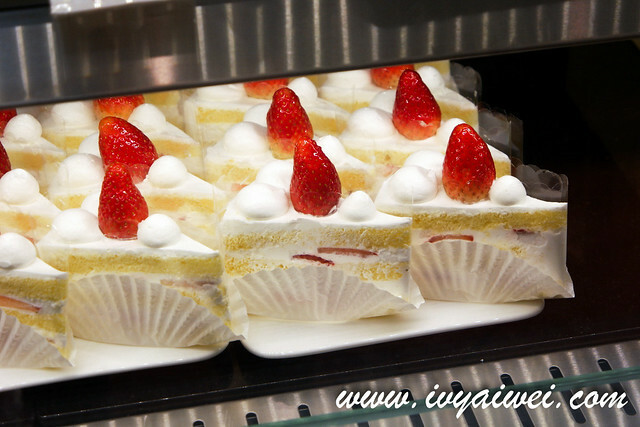 I am always a fan of his strawberry shortcakes; layered with the fluffiest cream, fresh strawberries and the softest sponge cake. 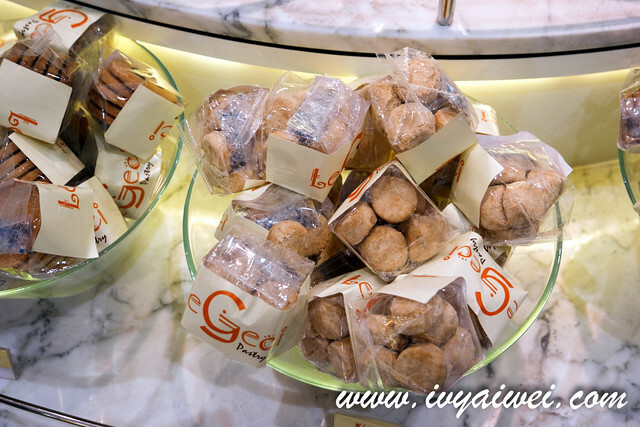 That freshness moment was something unforgettable one.